Lyle W. Schanen, age 79, formerly of Port Washington and Sheboygan, passed away Tuesday, December 2, 2014 at the Plymouth Care Center where he had resided recently. 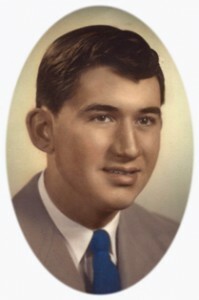 He was born on December 13, 1934 in Port Washington, WI; son of Edward and Cecelia Lorge Schanen. Lyle moved to Sheboygan in 1968, living at the Harmony Living Center for many years. His family is truly thankful for Dr. Bryan Schmitt and the staff of the Harmony Living Center and the staff of the Plymouth Care Center for making him feel at home all these years. Lyle found great joy in classical music and the activities in which he had participated. He is survived by his sisters Lucille Poytinger and Arlene Barian, both of Brookfield, sister-in-law Flora Schanen of Campbellsport, brother-in-law Art Kabelowsky of Sussex, nieces, nephews, other relatives and friends. Lyle is preceded in death by his parents, his sisters Janet Kabelowsky and Bernice Hansen and his brother Gerald “Jerry” Schanen. His Mass of Christian Burial will be 11AM Tuesday, December 9, 2014 at St. Mary Catholic Church, 430 N. Johnson Street, Port Washington. The Reverend Thomas Lijewski will be the celebrant. Visitation after 10AM Tuesday AT CHURCH prior to Mass. Interment St. Mary’s Cemetery, Port Washington. Memorials to the St. Mary Parish appreciated. Previous Post: Graff, Dorothy A.